Jones' Home Center's plumbing department is stocked with all your basic plumbing needs. looking to upgrade a faucet, or undertaking a major plumbing project, we have all the supplies you'll need. Come see the variety of sinks, toilets, faucets, tubs, showers, vanities and tops we have on display. We also stock well pumps and tanks. From small repairs to major projects, Jones Home Center is the destination for what you need to get the job done right. Click Here to shop plumbing products or call 369-8717 to find what you need in stock. do-it-yourself plumbing industry since 1962. 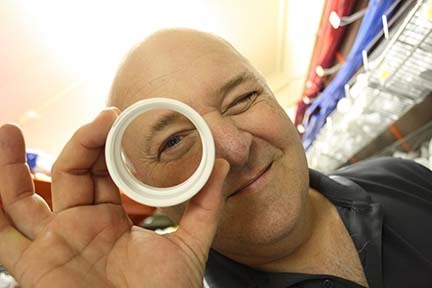 They are the worlds largest manufacturer of vinyl plumbing components. Wayne Pumps Superior pumps and water transfer systems for consumers and professionals. lawn and pool pumps, as well as accessories. Culligan Water Filter Systems is one of America's most trusted brands in water filtration. We stock a wide selection of Culligan water filter and replacement cartridges. We have a great selection, or we can order what you need with very dependable lead times, at affordable prices. Get Offers Into Your Inbox!